The CDA Advantage goes beyond the classroom and dive station - it's a way of preparing our students for the real challenges of the industry. CDA Trains its students in depths of up to 165 feet - Another CDA Advantage! CDA Technical Institute provides International certification for today's "World Class Divers!" CDA trains our divers to work together, solve the challenges that are part of working in this environment to get the job done! CDA Advantage? You can count on it! CDA challenges our students every day with complex, real-world problems and lets the student solve them. We provide training and go beyond to make sure our graduates have a complete understanding of diving operations. Learn about the challenges that will face you. Not only in our training but in the career. What do commercial divers do? Commercial diving is industrial construction that takes place underwater. Commercial divers work all over the world, and are experts in underwater welding, underwater salvage and recovery, underwater inspection, and installation. After all the research I've done and instructors I've talked to, CDA is bar-none the premier dive school in all of America. CDA's internationally-recognized training includes an introduction to topside welding and underwater welding for commercial divers. Our Highly trained instructors provide guidance to our students. 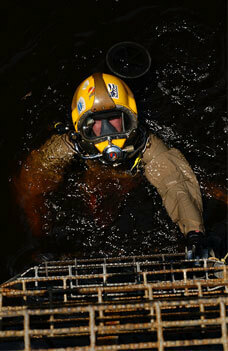 A successful commercial diver needs to be highly trained and proficient in all facets of commercial diving. This is where CDA graduates excel and the CDA Advantage comes through! 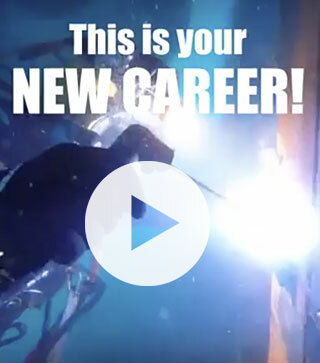 The Air Mixed Gas Commercial Diver Program does not qualify a student to become an underwater welding specialist. Additional training is required for certification. Contact our Admission Team for details - 888 974-2232. 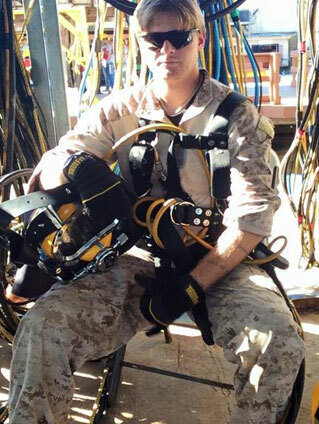 Much like military personnel, a commercial diver needs to travel to where the work is. Additionally, they are required to work safely and possess the endurance to work long hours under difficult conditions. A diver often needs to act quickly and follow a strict set of standard operational procedures similar to those that were experienced during time in the service. Our program simulates the demands of a real commercial diver with daily physical training, 10-hour days, and safety meetings. Do you qualify? Learn more! CDA Technical Institute (CDA), formerly Commercial Diving Academy, is the ONLY fully-accredited diver training program with IMCA-recognized training, on-campus housing and a full meal plan. CDA’s training is complete, comprehensive and intensive to ensure our graduates are recruited by the industry’s leading dive companies.